First submitted Saturday, 9 February 2019 at 16:30:27 by Alan G Reading. 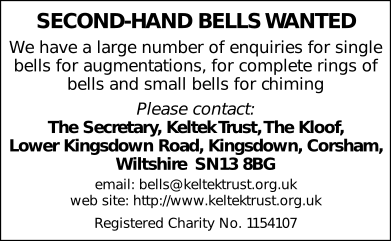 Sent for publication in The Ringing World on Monday, 11 February 2019 at 10:29:57, and printed in issue 5627, page 205. This performance has been viewed 2188 times.